Don't let neck pain get you down. Spine Scan Chiropractic are experts in targeted treatment to alleviate common lower back and neck pain. 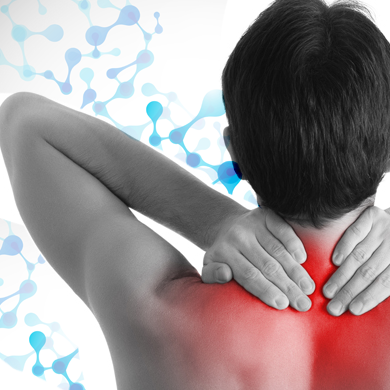 There are many causes for neck pain, Perth Chiropractor, Adam Rocchi sees patients with acute problems caused by accident or injury as well as those with chronic problems that caused by long-term stress or tension – or even from poor posture. For many patients with neck pain, concerns about painful, invasive treatment, prevents them from seeking help. Even when the condition seems to be getting worse, people often feel it is something they ‘just have to put up with’ and rely on painkillers and anti-inflammatory medications to help them to get on with everyday lives. Patients who seek help for their problem at Spine Scan Chiropractic are immediately reassured that their treatment will not involve ‘cracking’ or ‘popping’ their neck! By using the combined techniques of the hand-held Spine Scan device and Trigenics, the treatment is always gentle, low risk, pain-free and better still, immediately beneficial! Call us today on (08) 6150 8785 (Scarborough) or (08) 6150 8783 (Mount Pleasant) to arrange your initial consultation and take your first step to being pain-free again. As we mentioned, one of the most common causes of acute neck pain is a whiplash injury sustained in a car accident. Many of the most common causes of chronic, recurring cervical pain can be due poor posture. For example, sitting in one position for a lot of the working day, often with the head tilted forward can put tremendous strains on the neck. A lot of neck pain is directly attributable to the long-term stress and tension of modern living that can cause problems with the muscles of the neck and jaw leading to headaches as well as neck and shoulder pain. Lastly, many degenerative disorders due to aging are a major factor in the cause of pain in the neck area. Problems such as degenerative disc disease, spinal stenosis and osteoarthritis are the main culprits that can all cause pain, tingling and numbness affecting the head, shoulders, arms and hands. By the time we are in our 70s, more than 20% of us will suffer from neck pain. This problem is a problem that can also cause feelings of ‘vertigo’ and dizziness, making a person unsteady on their feet. Ongoing Chiropractic maintenance treatment for this age group can improve the patient’s quality and enjoyment of life, but also (and very importantly), make them much less likely to fall and so reduces the risk of serious injuries including hip fractures. The treatment for neck pain used involves the use of a hand held, Spine Scan device that is able to identify the spinal segments that need treatment and then deliver a series of rapid impulses that can bring immediate relief by releasing those tight, deep muscles in your neck.